Last night I was able to follow up with a couple of patrons who read banned books to celebrate Banned Books Week. One woman returned Toni Morrison’s The Bluest Eye. I asked her if she liked the book, she nodded her head. I asked her if she thought the book should be banned and she told me of course not and that she thought it should be taught in literary classes. An other patron was a gentleman who had read a Goosebumps book. I asked him if it was to scary for him. He smirked and said no. I then asked if he thought the series should be banned for being to scary for young readers. He continued smirking and said no again. I think he got more of a kick out of me suggesting that he could be scared by the series. It was fun to be able to follow up with patrons after they read banned books and were interested in a small library display. I’ve also been trying more purposefully to show that the library values patrons, their reading choices, and their voices. This was one attempt foster an environment that could make patrons feel valued and heard with what resources the jail library already has. 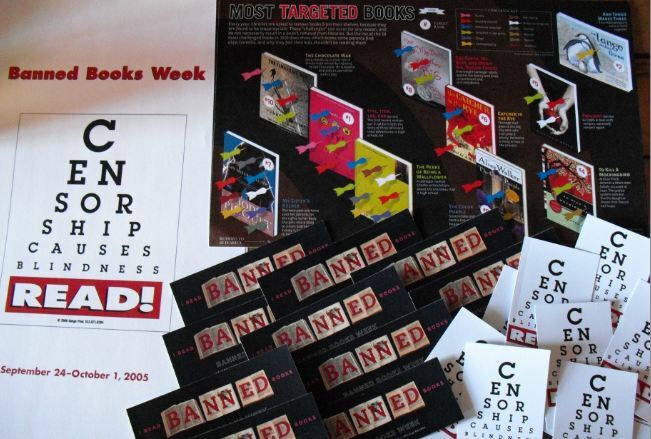 This last Monday we celebrated Banned Books Week at the jail library. 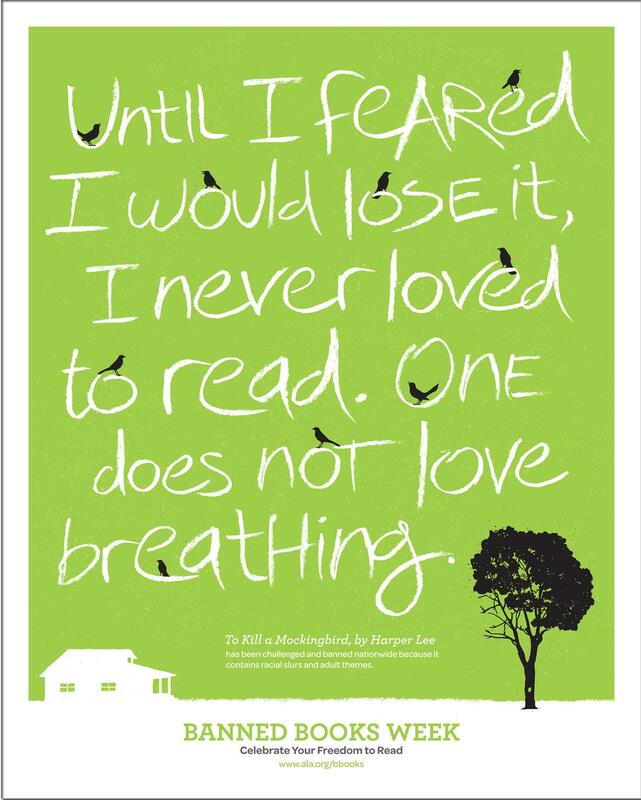 We hung up posters, made bookmarks, and displayed banned books that were in the jail library’s collection. We put out multiple copies of the following banned books that we could locate (we had about 10 minutes to set up the display); 15% of books from the display were checked out. The first group of women were especially excited to learn about banned books and see what has been banned. Many patrons told us what books they had read that were banned, that they read one of the books in school, or that they were shocked that certain books were on the table. The patrons also reflected on their children’s reading and development if theses books were not available in their school to the extent that they were going to make sure their children were able to read the books they had read when they were school. One patron was not interested in checking out a banned book, but before he left he told us that he reads a banned book every night (referring to the Bible). Even though every patron did not show lots of interest, patrons did learn about the library-related topic, censorship, and questioned reasons as to why books are banned.